I love the internet . . . you can find almost anything and learn just about anything by doing a search. In a webinar provided by Steve Harrison of Quantum Leap. The guest speaker was Jack Canfield. For those of you who haven’t yet hear of him (this would be amazing if you are in the writing field), Canfield is the co-creator of Chicken Soup for the Soul. Canfield and Mark Victor Hansen had a dream. They would have a New York Times best selling book. But, the road to success wasn’t easy . . . they received 144 rejections from publishers. This did not stop them—they moved forward with visualization and positive projection techniques. Chicken Soup for the Soul came out in 1993. Since they didn’t have enough money for a publicist so they did their own marketing. By 1995, they won the Abby Award and the Southern California Publicist Award. This was the second teleseminar I had the privilege of attending featuring Canfield. The information offered was geared toward the strategies needed to make money publishing books through marketing and diversification. This concept is very similar to a video clip I watched of Robert Kiyosaki, author of Rich Dad Poor Dad, which was also presented by Steve Harrison. 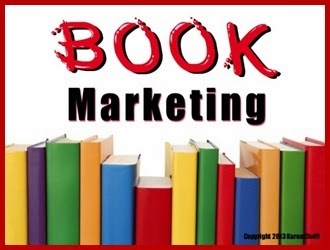 So, what exactly are the concepts of book marketing and diversification? Start your platform when you are thinking of writing a book—don’t wait until you are published. Creating connections, contacts, and readers takes time. 2. Realize you will most probably not get rich writing books. Yes, that’s right, you will not automatically become wealthy from book publication. But, while you won’t get rich, it will open doors that will not otherwise be open. This is the opportunity for diversification—don’t just look straight ahead—use your peripheral vision. 3. Learn how to market and sell YOU and your books. Never stop learning about writing and book marketing. Read about the subjects; attend conferences and teleseminars; join writing and marketing groups; and follow blogs that provide valuable and up-to-date information. But, remember, you don’t want to just sell your books, you want to sell what you have to offer along with your books. 4. Research areas you can diversify in. If you are published there are a number of doors that will magically open. You can create e-books; you can present teleseminars, webinars, or workshops; you can offer classes or coaching; you can even write a book about your experiences and successes. Tip: Before you start charging for your expertise, offer some free services. This will help establish you as an expert in your field. Find new avenues to sell your books and services. Utilize some of the suggestions in #4 above. 6. Build your subscriber list. According to expert marketer Jim Edwards, if you don't have a list that's continually growing, you're sunk. You'll need to develop a trusting relationship with your readers by providing quality information on a regular basis, along with quality products. 7. Believe you can do it. This is probably the most important tip for success. Canfield is a firm believer in the power of tweaking your subconscious and projection. As the Bible tells us, “There is more happiness in giving than there is in receiving.” New World Translation, Acts 20:35. Aside from being good for you as a writer and marketer, giving back is good for the universe and our troubled world. It's a 4-week, in-depth, interactive WOW! Women on Writing e-class that covers basic website optimization, blogging, email marketing, and even social media marketing. 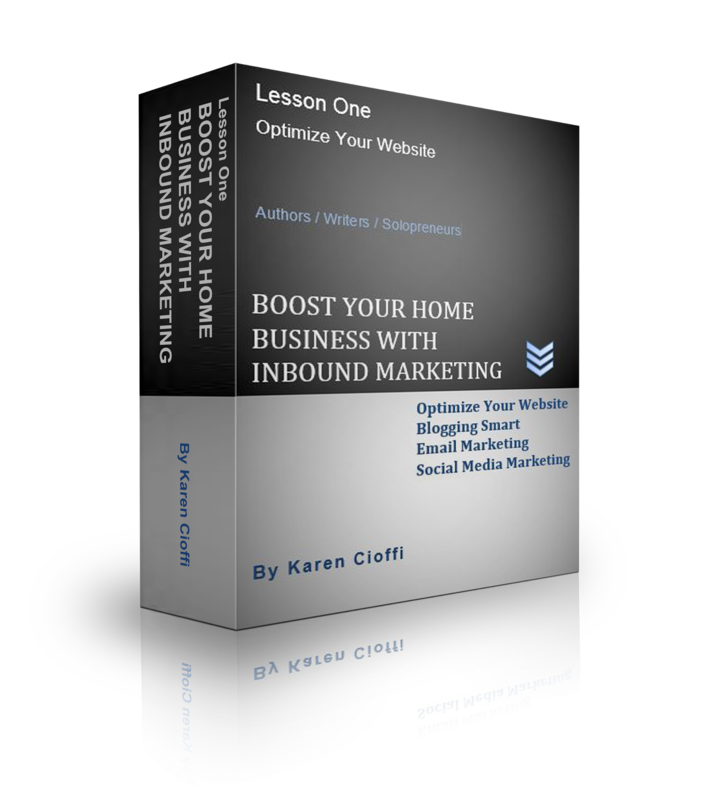 All the elements needed to boost your visibility, authority, and sales. Hi Karen, interesting post. I have a few of the Chicken Soup For The Soul books. I'd have never guessed that they received 144 rejections from publishers. A great reminder to never give up. I was also surprised when I learned how many rejections Chicken Soup received. It is a great lesson for perseverance! Terrific post filled with essential tips. Thanks! I coach authors how to get on TV and that is another way to make some serious money. Consulting gigs, speaking gigs and even more book deals come your way after getting on TV. OK, thanks, Edward Smith. Donna, Thanks for stopping by! Edward, maybe a visitor will check out your site. Thanks for stopping by. karen, thanks for all of the great advice. The Insta product looks wonderful. I wonder would I be able to handle it? I'm a bit computer challenged, but would really like to let my blog out of the box. I'm in the process now of taking Jack Canfield and Steve Harrison's Best seller Blueprint Program. I'm Glad Susanne Drazic sent me your site. Hi, Susan. My best advice to you is to focus on one program at a time. I've fallen into the buying programs and not finishing them trap. It's a waste of money. Put your efforts into the the Blueprint program, since you already invested in it. Then after you finished it and find you want something else to jump into.